Luxuriously curved, 60 cm wide exhaust hood with energy efficiency class A, three power levels and up to 600 m³ / h exhaust air capacity. 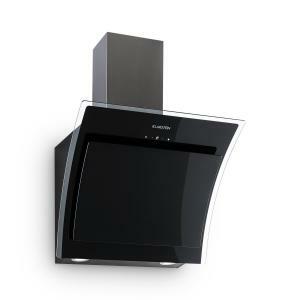 Inwardly curved front made of black safety glass with integrated touch control and display. 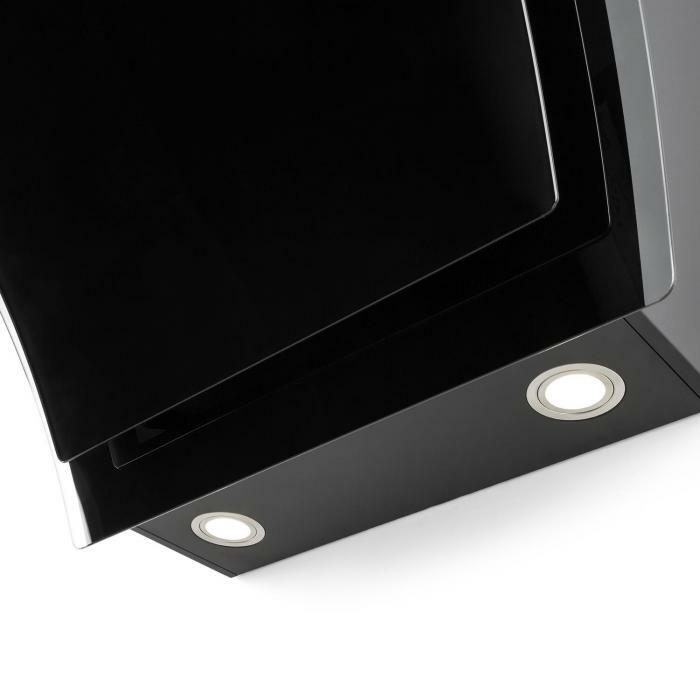 Switchable cooking surface lighting - ideal for small to medium-sized kitchen areas (max. 4 cooking zones) with possibility of recirculation mode. 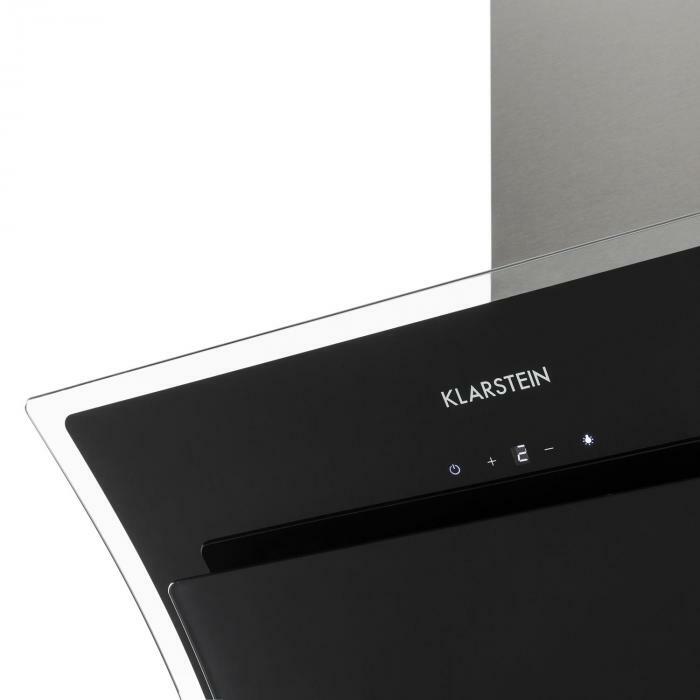 Bring momentum and gloss into the kitchen - while at the same time eliminating steam and food odours with the Klarstein Sabia extractor hood. 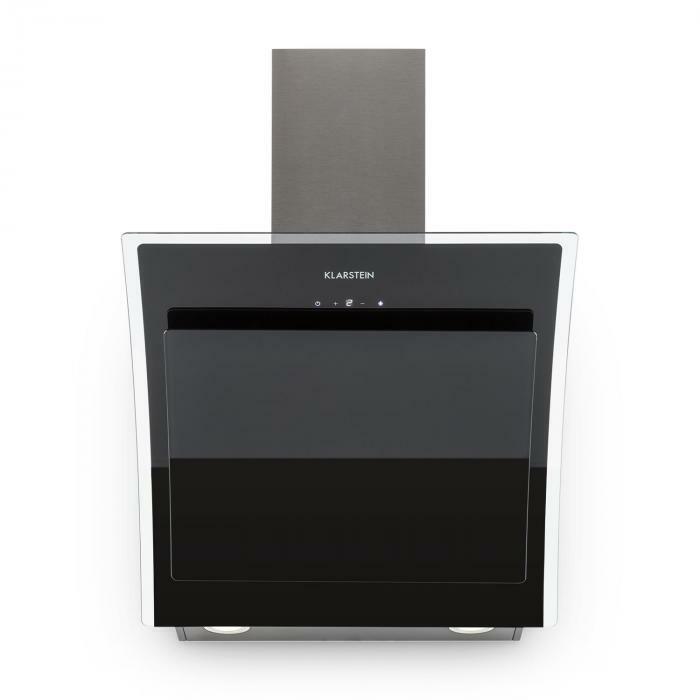 Clear air in small kitchens - the Klarstein Sabia fume extractor hood makes light work of removing haze and steam from over the cooking areas of small to medium kitchens. 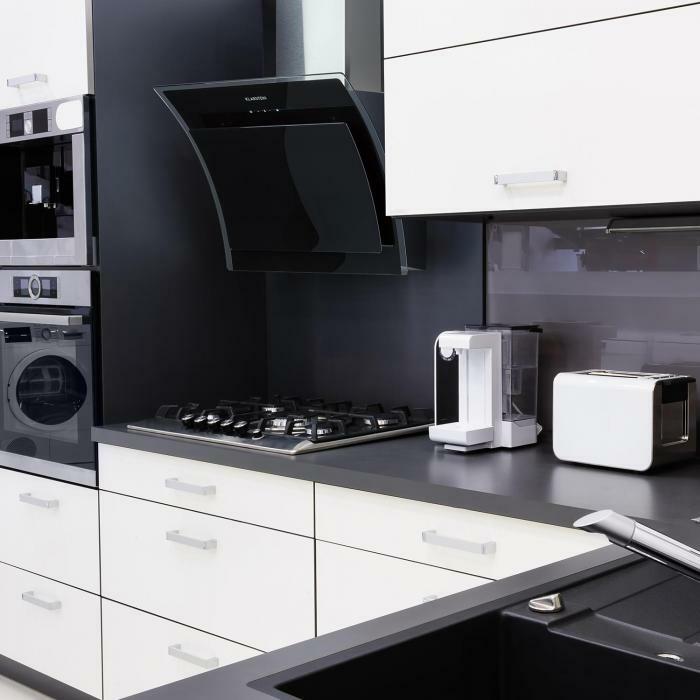 With three levels of performance, its work can be easily adapted to the cooking process. 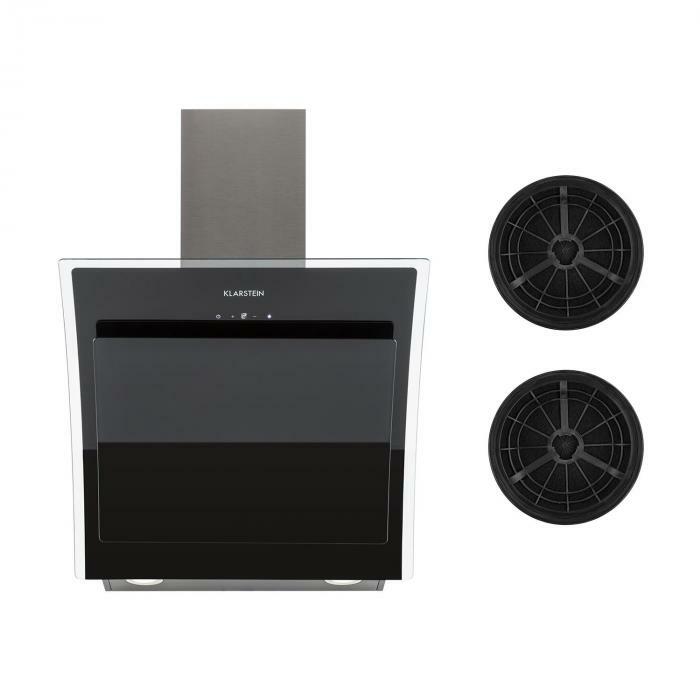 At the highest power level, it removes up to 600 m³ / h of exhaust air from the kitchen and is also equipped to handle the preparation of several courses. 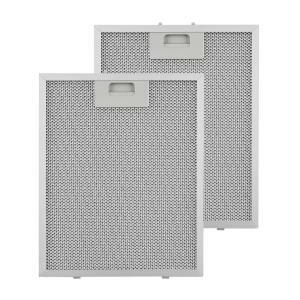 Thanks to state-of-the-art technology, noise and energy consumption are kept within a pleasantly low range. 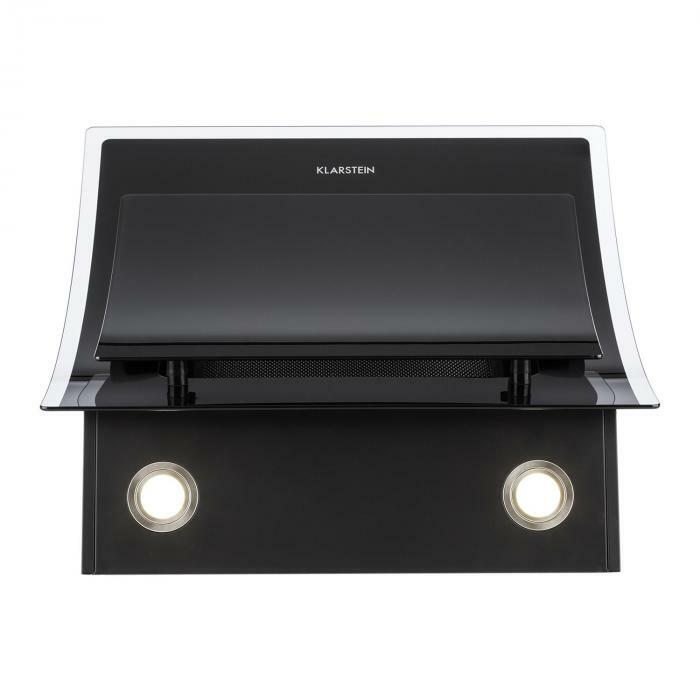 The Klarstein Sabia cooker extractor hood is particularly attractive due to its inwardly curved design and the black safety glass. Thus the head-free wall hood lends a touch of luxury to every kitchen line. 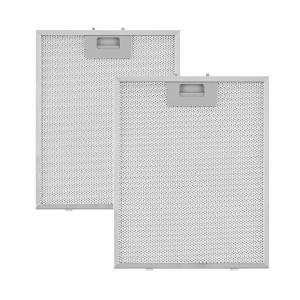 Two switchable cooking surface lights not only give you additional shine, but also allow an unobstructed view of pans and pots. So that nothing breaks the noble surface, all controls are integrated directly into the glass surface as a touch panel with display. All necessary material for wall mounting, a 1.5 m long exhaust hose as well as the matching veneer for the hose are included in delivery. 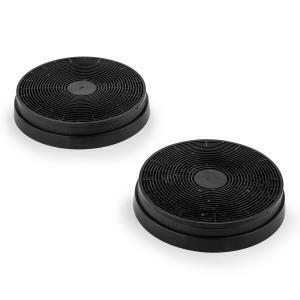 With the help of two activated carbon filters (article 10030983), the hood can also be retrofitted to air recirculation operation. Sophisticated luxury and environmentally-friendly performance for the kitchen: with the Klarstein Sabia extractor hood, cooking areas get a new highlight and kitchens get clear air.